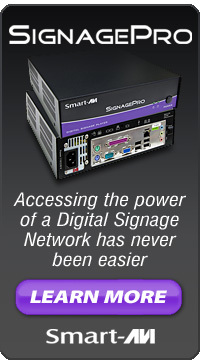 Throughout its existence, Smart-AVI has been tailoring its products to address the needs of system integrators and individuals to transfer and share a variety of signals within specific system environments. 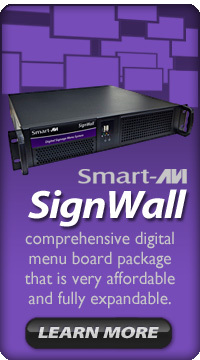 SmartAVI specializes in professional audio and video integration technologies for the multi-user environment. 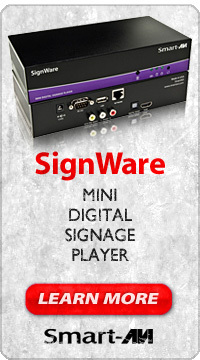 Some of its products include video extenders, video switches, video splitters, USB extenders, DVI extenders, KVM solutions, video walls, matrixes, digital signage, computer-video interfaces, distribution amplifiers, fiber optic, infrared, and HDMI solutions. Smart-AVI solutions are distinctive because of our experience in the computer industry. Our knowledge of software programming, engineering and advanced electronics combine to offer our customers flexible, user-friendly and unique technology solutions. Many leading businesses have recognized the significance of Smart-AVI’s solutions and have eagerly implemented them. Companies that have embraced Smart-AVI’s expertise include: NASA, Boeing, DreamWorks Studios, Johnson & Johnson, United States Army, Procter & Gamble Company, Adobe Systems Incorporated, Bellagio Las Vegas, Lockheed Martin, Monte Carlo Resort and Casino, and Miller Brewing Company. Smart-AVI, Inc. is a privately-held, internationally-recognized company operating out of the United States, with its headquarters located in North Hollywood, California.